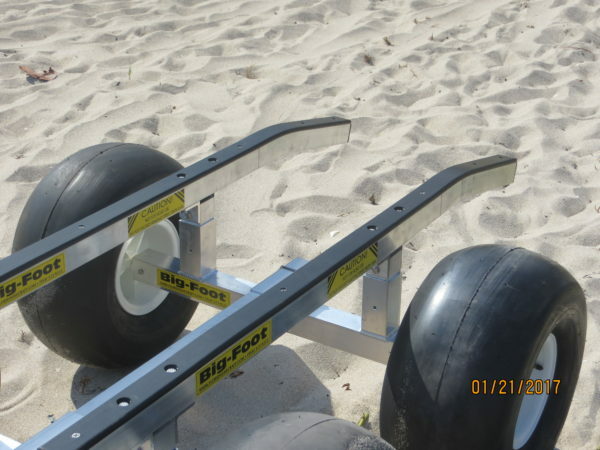 Bigfoot heavy duty landing gear for personal watercraft in any condition. Here it is, a bigger BigFoot! This is the ultimate beach cart for any PWC. 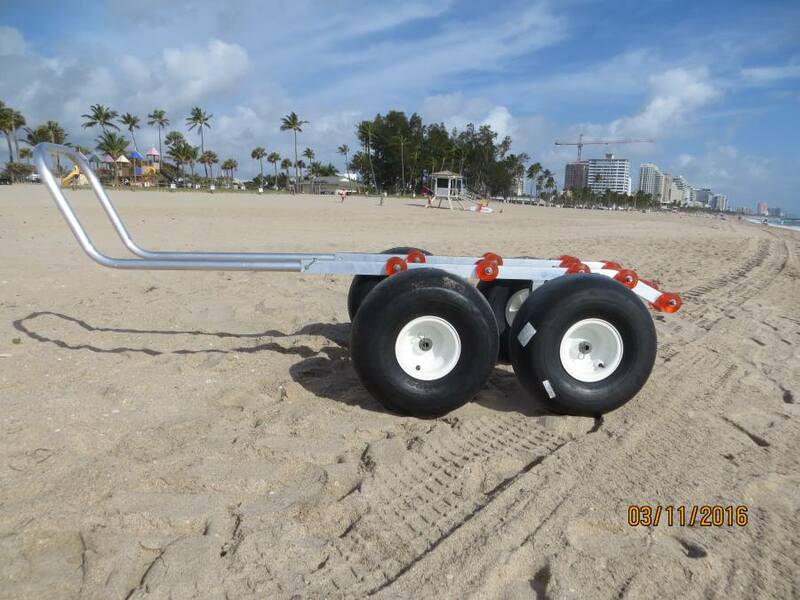 With its four jumbo 21” balloon tires and a 1000 lb. carry capacity it will work to float the weight over any surface. 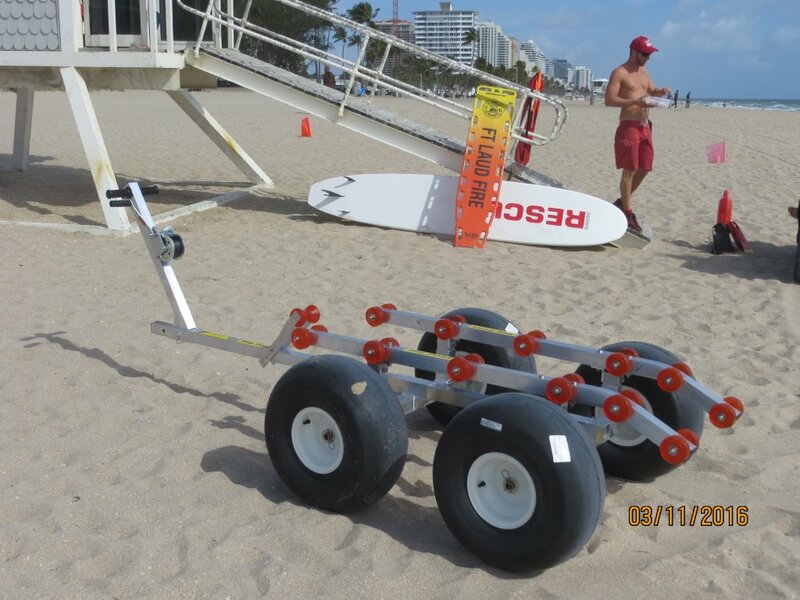 Same as the original, all you need to do is get the BigFoot to the waterline, attach the hook to the bow cleat, lift up on the grab handle and start turning the winch. 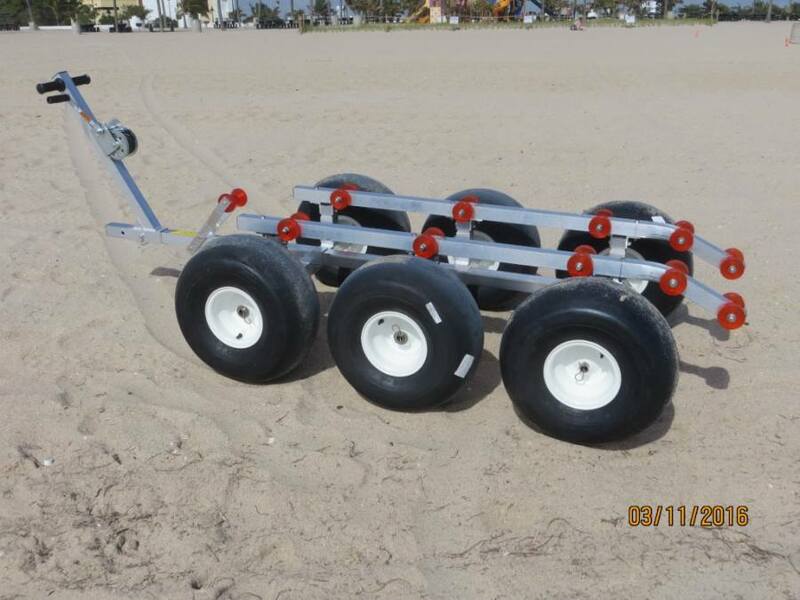 It will pull the PWC onto the dolly and the dolly back under the PWC at the same time. 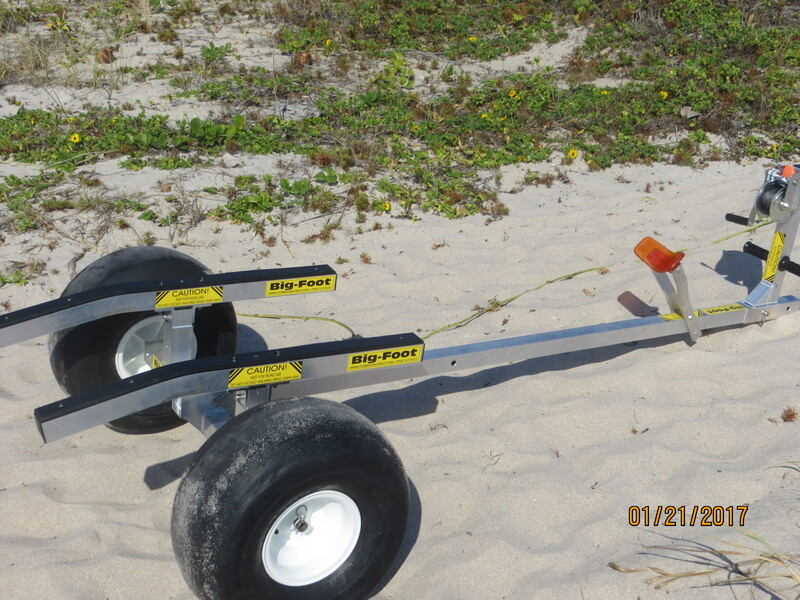 You do not have to put the dolly into the water by using this method, safer when surf conditions are present. Our standard features include huge angled support rails, 60” long, and constructed of 2″ square aircraft grade aluminium covered with UHMW resulting in a super slick surface that is durable and offers the best hull support and protection. The welded framework is dimensionally bigger than any others on the market resulting in the superior strength needed to support the increased weight of recent watercraft on the market. 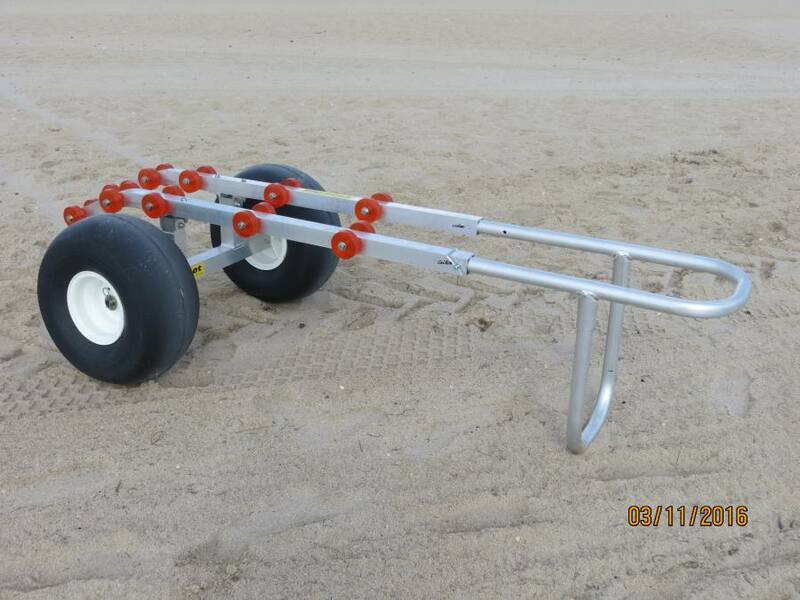 Quite simply, you will not find a better built cart. 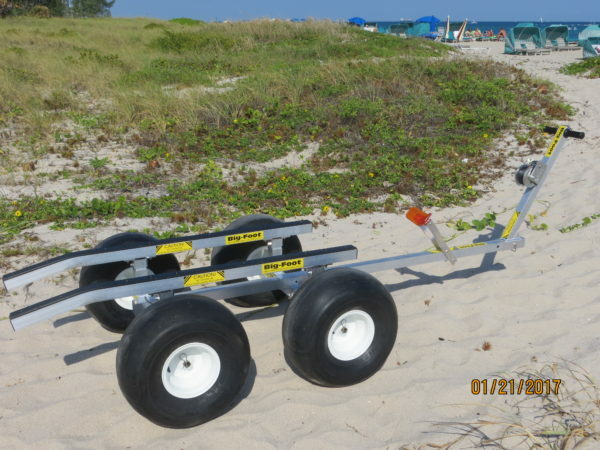 Optional ATV coupler kits are available for low speed towing. Dimensions are 9’ long overall, 46” to the outside of the tires, 22” to the top of the support rails. Weight is120 lbs. 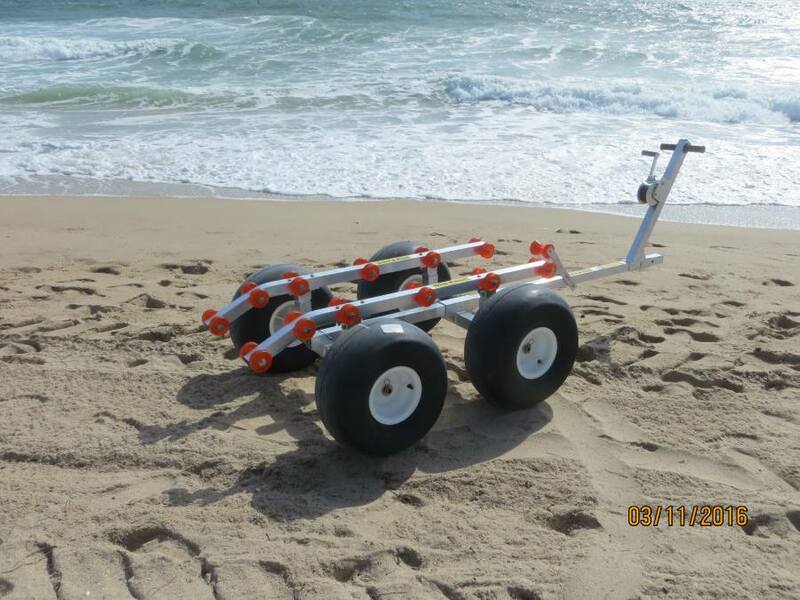 Now introducing our newest feature, roller rails! We have listened to our customers who have asked for this option. 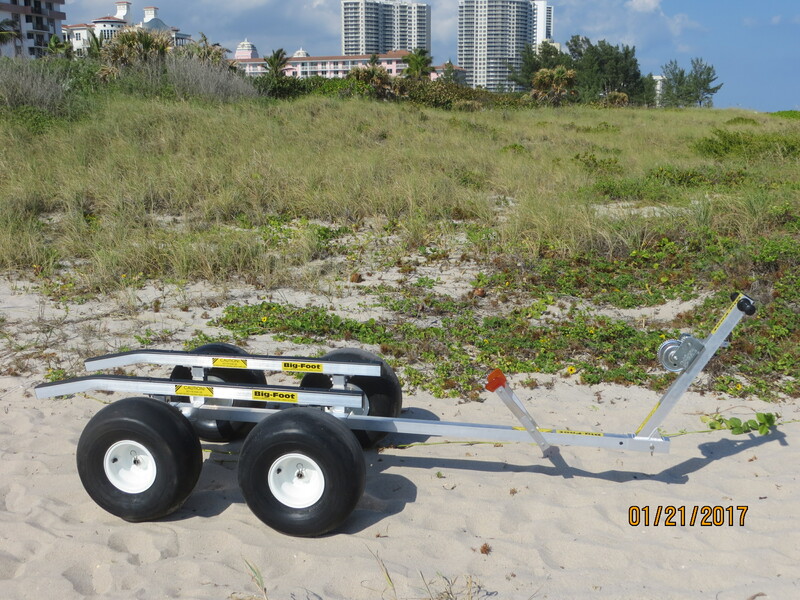 Developed specifically to address the difficulty of loading PWC.. Angled bunks at the rear, aircraft alloy aluminum, stainless hardware, huge 3″ Stoltz poly rollers make the job easier than ever. We are the only mfg. to offer this option.